Probably the hardest phone the World has ever known. nokia, 08 Aug 2012bro this is not the latest technology android nd apples os r the latestLook at the post date. In year 2000 it WAS latest. this is my phorn.. i use this to take my na ked pic..
How many numbers does it store? 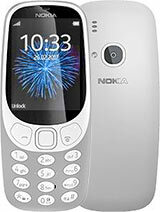 This Nokia 3310 was indeeed my very first cellphone a definate souvenir to die for! very great phone of all time. i'm using this until now, no problem encountered -no virus, no hang-up, no software problems, no expensive accessories and parts replacement. Man i love this cell ITs a antique piece It worth more then gold It is like a classic car There is new 3310 s in the market which runs quad i7 processor and android 4.2 ketchup 80 mp cam my friend bough s3 and we tried speed test i win amazing better then apple you can play play-station games with nokia 3310 PsP store . . .